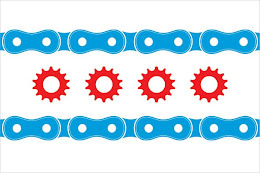 Chicago Bicycle Accident Lawyer | Illinois Bicycle Lawyers at Keating Law Offices: Blackstone Bicycle Works Teaches Woodlawn Youths About Bikes. And life. Blackstone Bicycle Works Teaches Woodlawn Youths About Bikes. And life. Blackstone Bicycle Works, located on 6100 S. Blackstone on Chicago’s South Side, has become a haven for many of the area’s youth. The shop has instituted a program that both helps keep kids off the streets and also gives them real-world experience. The Woodlawn-located shop began an after school program for kids ages 9 to 16 that allows them to do bike repairs, gain safety knowledge, do web design, and train them in entrepreneurial skills. The main draw of Blackstone it allows the kids to build a bike of their own. Once you have completed 20 hours of bike repair work, you are allowed to pick a bike frame and construct your own bicycle. After your 25th hour, the bike is yours. The bikes that do not go to the kids are sold each Saturday at a discounted price to members of the Woodlawn community. Blackstone generally has 20 kids in their after school program every day and over 150 different kids per year. They also operate a full program during the summer months. The company was started in 2006 by local non-profit The Experimental Station which focuses on community building on Chicago’s South Side. Blackstone Bicycle Works is one of a growing number of inspirational youth-oriented bicycle programs originating in Chicago. The knowledge and experience gained by the participants in the bicycle shops not only helps kids remain out of trouble, but can give them something to put on a resume. If you would like more information more information on The Experimental Station and Blackstone Bicycle Works, or would like to make a donation, please visit their website.